The centre is based between Rye and Camber Sands in East Sussex. 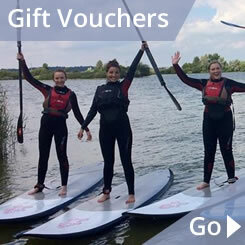 Rye Watersports is fortunate to be in an area of South East England which is easily accessible by road and rail from most major towns in outer London, Sussex, Surrey and Kent. Our kitesurfing, windsurfing, and sailing lessons are set within a time scale to allow for travelling, so the start time is not too early! But there are so many great places to stay within the area that it’s tempting to opt for an overnight break. The list below gives you a rough guide on the time to get to our centre; this is if you are travelling by car. Ashford in Kent is 20 minutes via Ham Street. Maidstone is a little further about 35/40 minutes, but if you’re travelling to Greatstone for one of our kitesurfing lessons is takes about 5/10 minutes less. Hastings is just 20 minutes on the A.259, along the main coast road, to our centre. To the east of us are Dover and Canterbury and also Whistable. All about an hours drive away. Tunbridge Wells in Kent is an easy drive down the A.21 or branch off at Flimwell and go straight down to Rye. An easy 45 minute drive. The above is also the best route from Tonbridge in Kent. It’s easy to get to us via the M.25 from Guildford, Reigate and Redhill. Come off at the A.21. Distance is about 1 hour 10 minutes. Eastbourne in Sussex is west along the coast from our centre and takes about 50 minutes and about 45 minutes from Pevensey Bay. Brighton takes about 1 hour. You can come along the coast road on the A.27 or head up to Battle and avoid the coastal traffic during the Summer months. To come from London for your windsurfing, sailing or kitesurfing course it’s best to go down the M.20. Time, depending from which area of London you’re coming from, is about 1 hour 15mins.